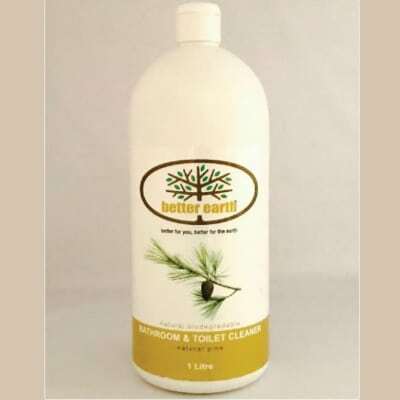 Natural Pine 1litre Better Earth Bathroom and Toilet cleaner is readily biodegradable and easy on your hands but cleans baths, toilets and basins with no effort. Your bathroom will smell and look spotlessly clean. Ingredients: Water, Lauryl Glucoside, Pine Leaf Oil, Guar Gum, Xantham Gum, Citric Acid, Eucalyptus Globulus Leaf Oil, Potassium Sorbate, Sodium Benzoate, Glycerin, Acetic Acid, Ascorbic Acid, Caprylic Acid, Cinnamon Leaf Oil, Lactic Acid, Ethanol, Citrus Aurantium Amara (bitter Orange) Fruit Extract, Yucca Schidigera Stem Extract. It contains no ethoxylated ingredients, sulphated surfactants, Parabens, animal products, colourants or synthetic fragrances, so you can use it with a clear conscience and know that you are not compromising the environment Directions for Use: Squirt a small amount onto the surface and wipe clean. 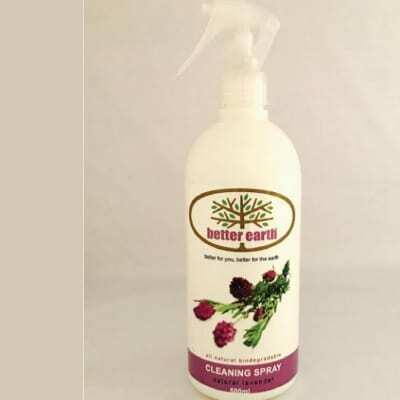 Better Earth Conditioning Laundry Gel is designed to clean your home without compromising the environment. Ingredients: Water, Glycerine, Decyl Glucoside, Cocamidopropyl Betaine, Sodium Borate, Coco-Glucoside, Glyceryl Oleate, Citric Acid, Xantham Gum, Lavender oil, Potassium Sorbate, Sodium Benzoate, Rosemary Leaf Oil, Linalool, Limonene. Its gentle on your fabrics but tough on stains. It contains no ethoxylated ingredients, sulphated surfactants, Parabens, animal products, colourants or synthetic fragrances, so you can use it with a clear conscience and know that you are not compromising the environment. Directions for Use: Put 20-30ml of gel into your washing machine dispenser. 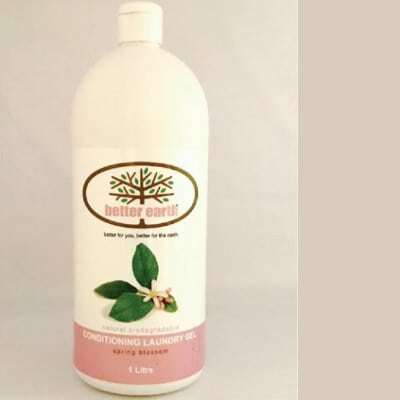 There is no need to add fabric softener as this gel contains a fabric conditioner that is safe for all fabrics. For a really dirty load, more can be used.. This fragrant cleaning spray will leave surfaces fresh and clean. Can be used on kitchen counters, walls, stove tops and glass surfaces.This is a really gentle cleaner so you can pretty much try it on anything! It contains no ethoxylated ingredients, sulphated surfactants, Parabens, animal products, colourants or synthetic fragrances, so you can use it with a clear conscience and know that you are not compromising the environment. Ingredients: Water, Vinegar, Essential Oils(Lavendula officinalis, Thymus vulgaris, Rosmarinus officinalis), biodegradable liquid soap. Directions for Use: Shake well before use. Spray onto surface and wipe clean with a damp cloth or sponge. Enjoy the gentle fragrances of lavender and citrus. 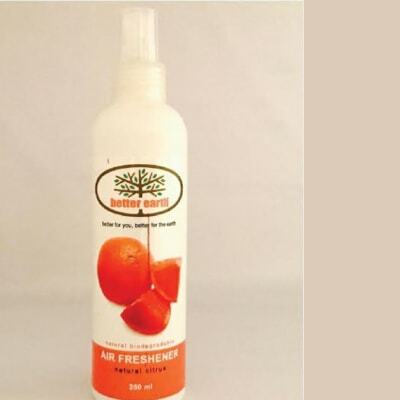 A subtle air freshener that contains no harmful aerosois. Ingredients: Water, Alcohol, Citrus Grandis(Grapefruit) Peel Oil, Polysorbate 20, Lavandula Angustifolia(Lavender) Oil, Citric Acid, Limonene, Citral, Linalool. It contains no ethoxylated ingredients, sulphated surfactants, Parabens, animal products, colourants or synthetic fragrances, so you can use it with a clear conscience and know that you are not compromising the environment Directions for Use: Hold bottle upright and spray as much as desired into the room.